​ HOUSTON – A nearly 30-year-old private school in the Museum District will soon break ground on a new facility as its student population continues to swell. The Presbyterian School will break ground on a new, 46,000-sf Early Childhood and Lower School building in January 2018. The new facility will be located at Oakdale St. and Barkdull St. and should deliver in first quarter 2019. 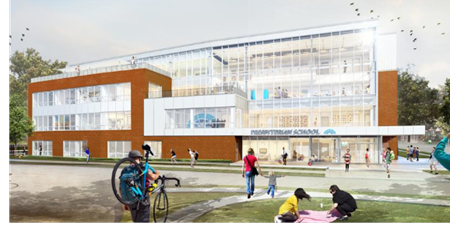 Once the Early Childhood and Low​er School building breaks ground, The Presbyterian School will kick off renovations to its 13,500-sf middle school. Be sure and check out the "Sneak Peek" on the Houston Business Journal's website​.